Surprise Everyone you Love with these Amazingly Arranged. Our Amazing Combo is a Lively combination of 12 Red Roses and a Delicious Cake and 13" Teddy Bear. 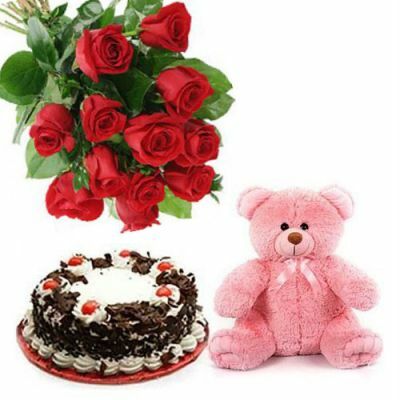 Send roses bouquet online to make the special day of your loved one memorable.The Amazing Combo suits every occasion; birthdays, anniversary and other happy events.